Hola Lexicans! Yesterday, was the Costa Book Awards, which like the name suggests is a large book awards. 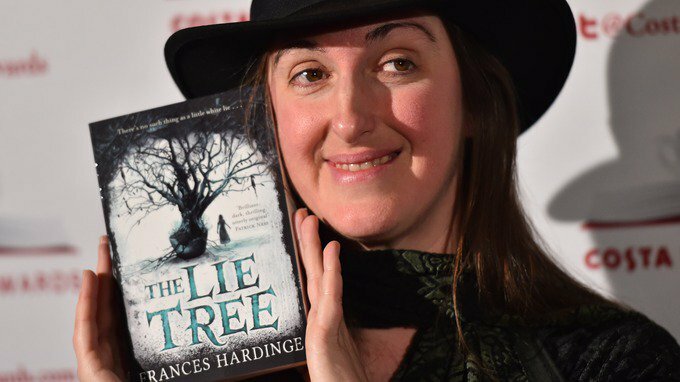 The biggest category is Costa Book of the Year, and I was browsing on Twitter when suddenly loads of congratulations tweets came up, because Frances Hardinge had won the Book of The Year with her book The Lie Tree. But the best thing was that a CHILDREN's book won the overall award. This made me think and it shows just how far teen/MG/YA books have come and its a really great thing, quite a big deal in the YA book industry. I'm actually taking part in a Twitter chat tonight hosted by the wonderful Guardian Children's Book Page with the hashtag #Gdnteentrans all about teen transgenders in YA/MG books, which I'm really excited about, I always love tweeting about books and hearing other peoples opinion on the hashtag topic. If any of you have Twitter I'd love you to join me in the #Gdnteentrans (we'll be chatting from 7 - 8pm) but if you don't have Twitter, no doubt I'll write a post about it! Anyway, that was just a quick post to congratulate France Hardinge and reflect on far children's books have come - no children's book has won the overall Costa Book of the Year since Philip Pullman in 2001 so it's a really big deal! Ya it's awesome children's book won. This sounds amazing! But my parents don't let me have a Twitter :( i can't wait for your post on it though!